Through the mist I could barely make out the figure approaching me. The unusual fog obscured my sight, and I could not tell if I was seeing friend or foe. Fog has been used as a plot device in countless stories. Its ability to totally hide in plain sight everything it touches is a true source of wonder. But the effect of fog is rather remarkable. It can create a halo around a normally clear light source. It adds a depth to woodlands that makes a small grove of trees appear to be a vast forest. It inspires a sense of dread at what may emerge from its depths, or anticipation of something amazing stepping through its clouded lens. Some places find fog a common condition. There are places in the world where fog is a constant companion, while elsewhere it is hardly ever seen. Songs and stories have been written about misty mornings and London fogs. 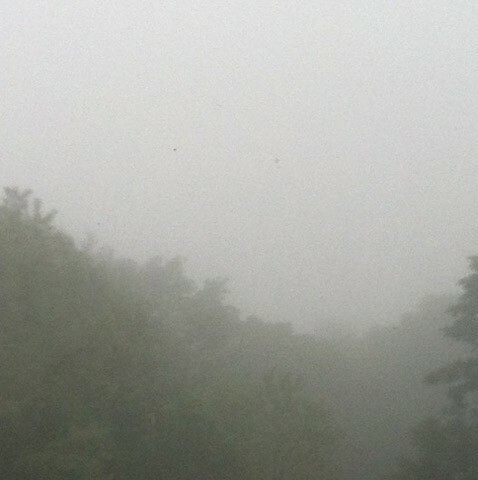 I woke up this morning and saw how the fog obscured the trees just across the parking lot. It inspired me to consider how amazing this weather condition truly is. 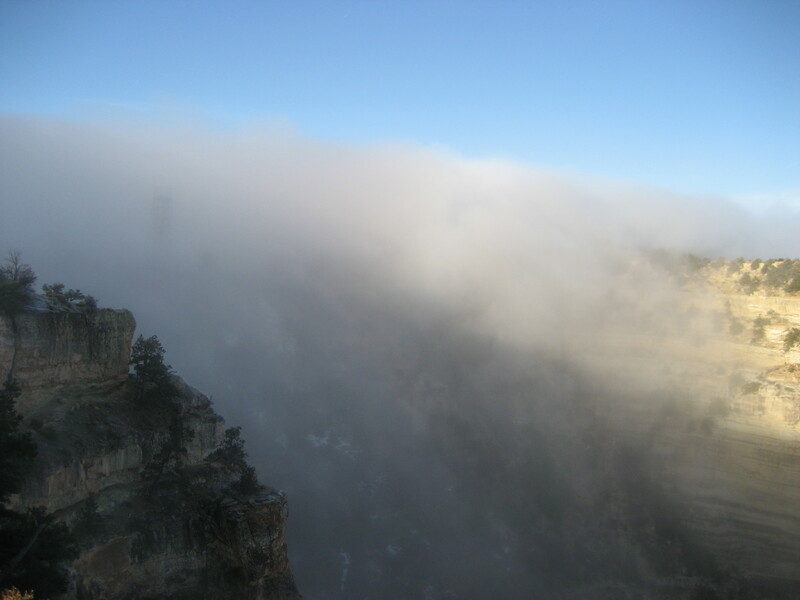 And then I recalled several years ago a sunrise visit to the Grand Canyon. It was amazing both for the sun peaking atop those mighty rocks, yet also for the mist rolling across its surfaces like smoke across a rooftop from a chimney. There is something about fog that either creates a sense of cleansing, or a sense of utter foulness. Of course, there is its man-mad cousin, smog. Dust particles burned by mankind trapped in the atmosphere and hovering above the surface in a similar manner to fog, but smog is far more sinister and deeply unpleasant to breathe. Some mystics will tell you that fairies and angels, spirits and wood nymphs alight in fog. 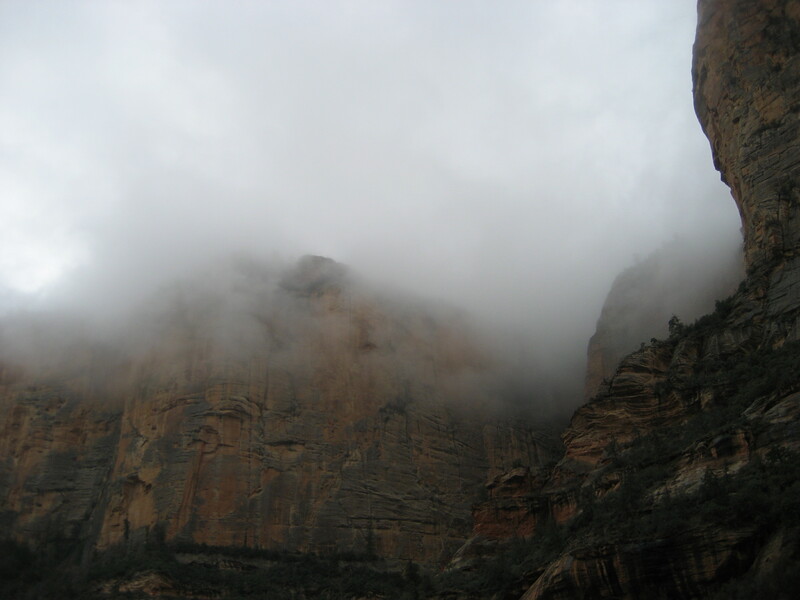 People have seen visions inside the low-hanging cloud throughout history. Fog has even been used to hide the movement of armies to surprised and overwhelm their opposition. Fog can also be a nuisance and a hazard. Planes landing in fog have to rely on their instruments, and drivers have to take extra precautions on the road. For me, a favorite driving condition has always been at night, in a foggy rain. There is nothing like cruising down the road, seeing only a short ways before me, immersed in fog. It’s like I am in a whole other world, filled with unknown wonders and tremendous mysteries waiting to be discovered. The next foggy day you find yourself in, take a look at this inspirational natural wonder, and see if for all its mystic properties. I am MJ Blehart, your familiar, friendly, fickle “Wednesday’s Wondrous World” author. Every week I share a wonder of this amazing world, and I hope you will enjoy the journey with me!